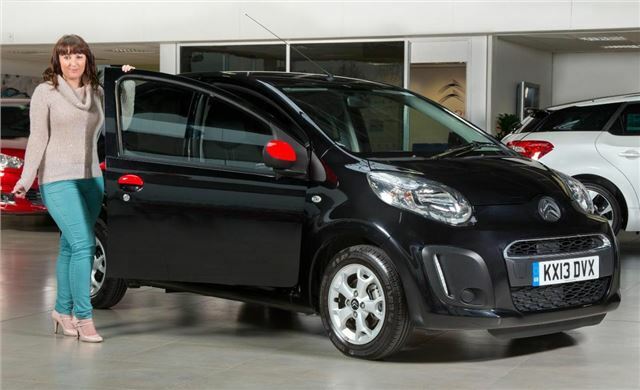 Citroen is offering its smallest model – the C1 – with a black box telematics system direct from the showroom. C1 Connexion models feature a Smartnav system which tracks how owners drive and feeds the information back to the insurer, resulting in reduced premiums for good drivers. Furthermore, those who fund their C1 Connexion with Citroen’s Elect3 and Elect4 PCP or Personal Lease offers will be eligible for free or reduced price insurance, depending on their level of No Claims Bonus. 19-20 year-olds with 0 NCB will get their annual insurance for £950, those with a year of NCB will get it for £500 and those with two years of NCB will get it for free. Those rates reduce for older drivers, and renewal premiums are based on driving behaviour over the first year – drive sensibly and get rewarded for it with a reduced insurance premium in the second year and again for subsequent years. The C1 Connexion is available for £10,170 with the Trafficmaster telematics system, but those who would like the car without the system fitted can get hold of on for £9820. It features red detailing inside and out and was designed with input from Facebook fans. It’s powered by a 1.0-litre engine with 68PS.